BBC Business Daily – The biggest global news stories and how they impact the business world. The daily drama of money and work is brought to you via insightful reports from BBC journalists around the world. The Bottom Line– Dragon’s Den presenter Evan Davis hosts the weekly Radio 4 business conversation show with people at the top giving insight into what matters. Practical, concise and relevant to current business affairs with interesting, credible guests. 30-minute episodes are ideal for when you’re on the move. How I Built Thistells the story of successful companies in the words of their creators. Each episode features a different entrepreneur recounting how they built their business. The real draw for listeners is the calibre of guests which have included the brains behind prominent start-ups like Instagram and Airbnb, and more mainstream business leaders such as the executive chairman of Starbucks and the founders of Ben & Jerry’s. It’s an intimate insight into the history of well-known brands, and great inspiration if you’re looking to get your own business idea off the ground. Maven Money Personal Finance with Andy Hart– The UK’s premier personal finance show. Andy Hart shares wealth creation and creative financial planning strategies, simplifying the complex into the actionable. There’s a diverse range of personal finance topics up for discussion from investments to insurance. Prime Minister’s Questions with Andrew Neilis arguably the best way to stay up-to-date with the issues of the week. This BBC podcast includes analysis from Neil, political editor Laura Kuenssberg and two guests from the two major political parties. If you want to stay in touch with what’s going on during these critical times, it’s the perfect podcast for the job. Desert Island Discs– A radio classic. Kirsty Young guides her esteemed guests from the world of entertainment, science, business and more through the soundtrack of their lives. The podcast library stretches way back and includes musical biographies from the likes of Fleetwood Mac’s Christine McVie, Ed Sheeran, Tom Hanks, Stephan Hawking and Kylie Minogue. Serial is the real-life investigation into a Baltimore schoolgirl’s murder which became a podcast phenomenon in 2014. Host and producer Sarah Koenig reinvestigates a complex murder case in almost real-time. The narrative is combined with cliff-hanger drama which encourages a binge-worthy series. Inspired by Serial, more recent binge-worthy podcasts in the same vein are Atlanta Monsterand Up and Vanished. 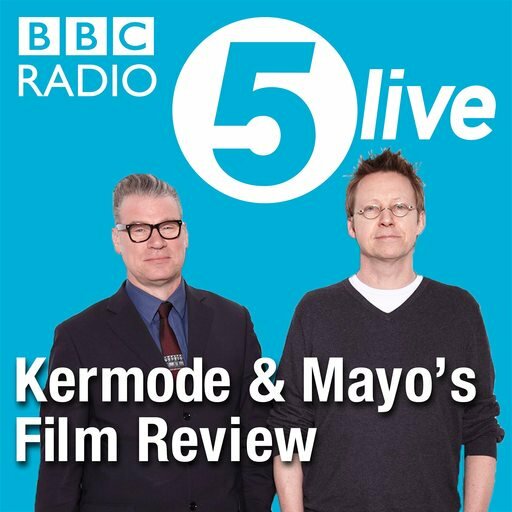 Film critic Mark “the Good Doctor” Kermode and radio presenter Simon Mayo digest and dissect the latest cinematic releases interspersed with big celebrity interviews. One of the UK’s most popular podcasts with a cult following status, listeners are known as “members of the church” and references to the hosts’ quick-witted quips have been made throughout the broadcast world. Hello to Jason Isaacs!